Paul Qualley – Biography, Married, Kids, Where Is The Model Now? Home Models Paul Qualley – Biography, Married, Kids, Where Is The Model Now? Have you been watching the British-Irish sitcom named Cuckoo on Netflix or BBC Three recently? If you have, then, you should be familiar with the recently introduced beautiful lady character named Ivy Arrives. She is that long-lost but super-rich and arrogant sister to Ken. Her real name is Andie MacDowell. You are probably familiar with Andie. But, what do you know about her husband Paul Qualley? Here, we are poised to take a profound and yet brief look at the life of Paul Qualley. We shall be talking about his biography, his romantic relationships in the past and also today. Especially, we shall be trying to find out the answer to the question many people are asking about him: Where is Paul Qualley now? Biography – Who Is Paul Qualley? He became successful as a model. But, he is probably most famous as the ex-husband of the movie diva Andie MacDowell as already said. Paul Qualley, who has Norwegian ancestral roots was born in 1958 in the United States. With his birth name as Paul James Qualley, his father’s name is Lee James Qualley while his mother is Patricia Ann Rondou. We have not been able to access any information as to where, when or even whether Paul acquired formal education. Neither have we been able to access specific details about the childhood influences that molded him. But, reports in the public domain have it that Paul has worked as a model in the past. In recent years, however, Paul Qualley has not been featuring on the runways. But where is he or what does he do now? We are going to find out in the ensuing paragraphs. Paul Qualley and Andie MacDowell: Image source. As already hinted, Paul Qualley became particularly famous since getting married to the Hollywood superstar, Andie MacDowell. It was said that the duo met while Paul was posing as a model for GAP Ads services. Although we cannot tell when exactly this meeting took place, it is now public knowledge that they married each other in 1986. The marriage between Paul and Andie survived thirteen years only before it succumbed to a divorce. However, before the divorce that took place in 1999, the couple had three kids – a son and two daughters – together. Their son Justin Qualley was born in 1986. Then, followed their first daughter Rainey Qualley in 1990. Finally, their last kid and daughter Sarah Margaret Qualley arrived in 1994. The couple divorced amicably and were both responsible for bringing up their children. Now, their kids are all grown up. The girls, Rainey and Sarah Margaret, have taken after their mother by becoming actresses and models. Indeed, together with their superstar mother, the girls have covered Town And Country Magazine in December 2013. The last girl Margaret currently has 146,800 followers on her Instagram page. As for the boy Justin, it is obvious he has his interest elsewhere as he does not show up at social gatherings nor does he have a social media presence. The divorce between Paul Qualley and Andie MacDowell was a surprise to many. This is because, only weeks before it was announced, the couple were still making a public show of love and commitment. Since their divorce, Paul has not been known to be involved in any other romantic relationships. But Andie is known to have dated and married a number of men since. For instance, only two years after the divorce, she got married to a businessman named Rhett Hartzog. But, that marriage also crashed after in 2004. 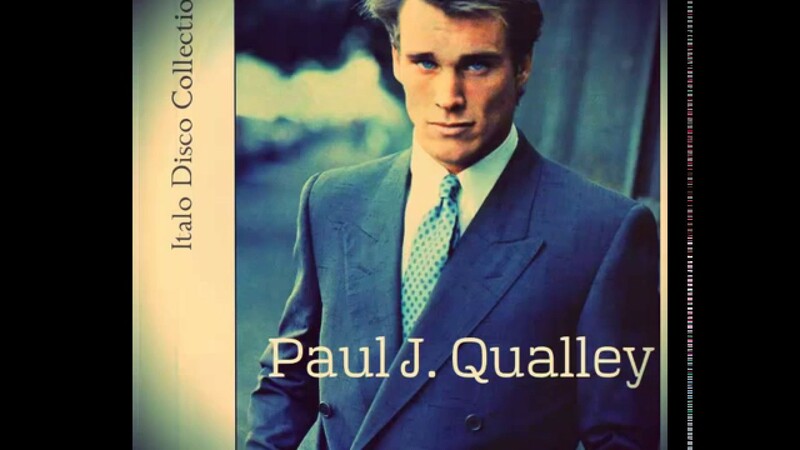 Where Is Paul Qualley Now? As already severally said, Paul Qualley came to the limelight by marrying Hollywood star, Andie MacDowell. In a similar manner, he seems to have swapped out of the limelight since divorcing Andie. He no longer graces the runways or glossy pages as a model anymore. He also does not have any verified social media presence. However, it is widely reported that Paul now works as a ranching contractor, a work that enables him to enjoy a growing net worth of $100,000. There are indications that this ranch is located outside Missoula in Montana State and that his son Justin runs it with him.